Lyanna George – Independent Stampin' Up! Demonstrator Brisbane. 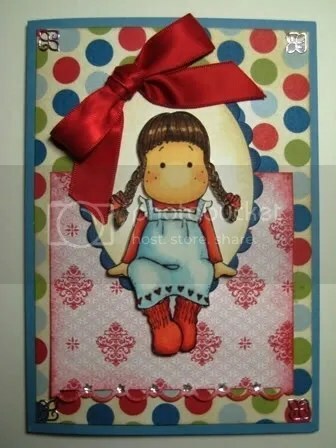 Stamping, cardmaking and papercrafts. Isn’t she cute? I was never a real big fan of cutting out, colouring in, or even Magnolia stamps – gues what? I’m not reformed. This was one of my tests using copic pens and Stampin Up inks on Watercolour paper. It’s great! I’m so delighted with the outcome. I love my Stampin Up papers – they just bring out this Valentine Tilda just perfectly. It definitely helps when the Stampin Up! inks match the paper. This is why I love Stampin Up! The co-ordination just makes it sooooo easy. I’m going to give this to my parents for Christmas I think – not really Christmassy is it? But that’s OK. I hope they like it! 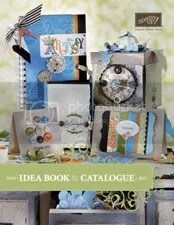 You can download the 2010-2011 Catalogue by clicking here. It’s BIG! The content on this site is my sole responsibility as an independent Stampin' Up! demonstrator and the use of and content of the classes, services, or products offered on my blog is not endorsed by Stampin' Up!